Let's assume you spend $100,000 a year on real estate marketing. Spend 10% on newspaper or real estate guide advertising. Spend 30% on local radio ads. Spend the rest on real estate search engine optimization and Internet marketing. This is the mix you have to use if you want to get to the top of the real estate food chain. We'll provide you with a 15 minute brain storm with at least 3 solid ideas you can use tomorrow to improve your business. Build an SEO Friendly Website. Point2Agent. Homes.com. AdvancedAccess. #1 Expert. It doesn't matter where you get your McWebsite template from. You have to bull doze it and hire a real SEO Rockstar with Web 2.0 skills. And you must apply Steve Krug's usability testing. Get his book, "Don't Make Me Think," and follow it to the letter. Nobody cares how well you know the neighborhood or how good you are with horses. 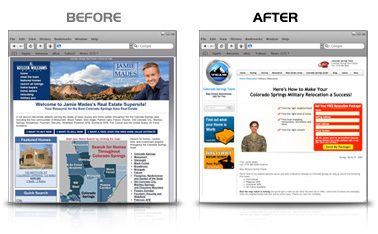 Put lots of homes on your website with a FREE IDX MLS. Show REOs, FSBOs and distressed homes in addition to your regular listings. Never ask visitors to first sign up before they can search. 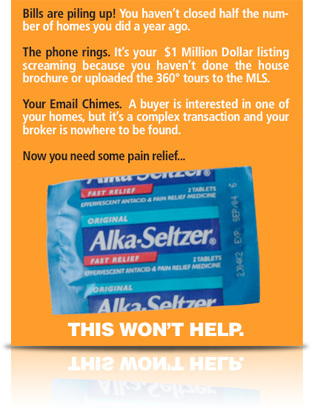 Real Estate Marketing Best Practices. We've helped REALTORS bull doze their website, get visible on Google and double their business volume. Learn More Need a Custom Real Estate Solution? Client success story #117. Jamie Mades is a REALTOR in Colorado Springs. His website firm was Hoopjumper. It was a good site, but the Content Management System (CMS) wasn't very Google friendly. Jamie lacked page one visibility, his leads were nothing to write home to Mom about. VPiX® told Jamie to buy a domain name with the words: Colorado and/or Real Estate in the domain. He picked ColoradoSpringsTeam.com. We then built Jamie a brand new site, added an IDX system, LIVE 2-way chat and a streaming video spokesmodel. 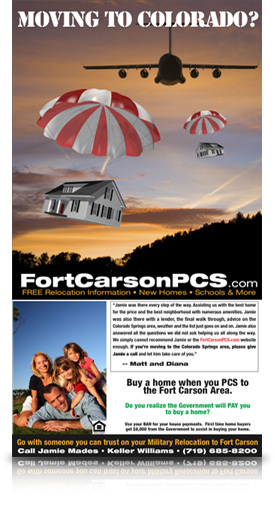 We developed a full page newspaper ad and ran radio ads in Fort Hood Texas when he learned that 16,000 military members and their families were being relocated to Fort Carson, near Colorado Springs. RESULTS: In December 2008, Jamie achieved a Google page one ranking for several search terms, leads increased by 64% and Jamie made $40,000 in sales commissions. His ROI 800% in ten months. Client Success Story #79. GMAC Santa Fe Fine Properties had a website with Re-Data.com. It was a basic template site, with no listing manager and it lacked the required usability to make it SEO friendly for Google. They also had a local photographer shoot their 360 tours at at $100 a whack. VPiX® bull dozed their website and gave them a brand new one, using strict WC3 compliant standards including the required usability guidelines including UDM4 contextual/extensible navigation menus and a state of the art IDX system with built in lead management. In addition, VPiX® also provide them with a 4-shot high definition virtual tour kit, allowing their in house marketing manager, Erik Scott to shoot their own 360 tours. RESULTS: The website has page one visibility on Google for the term; santa fe reos and santa fe commercial business. Plus they saved more than $18,000 their first year by taking 360 virtual tours in house. This is a success story that went from rags to riches back to rags again. In 2007, Terry Pullan from Pullan.com came to VPiX® as a referral. 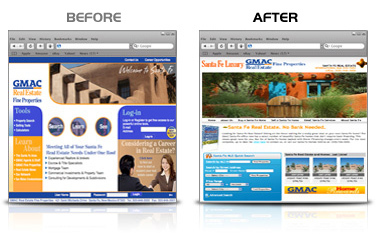 Their business was providing real estate McWebsite templates for other agents. Because Google penalizes sites for duplicate content, Pullan.com was no better than #1 Expert, AdvancedAccess or Homes.com. Asking us to get their website on a top page rank of Google was nearly impossible so we refused to take the job. After three more months of phone tag volleys, we told Terry we would only take the job if we could completely bull doze the site and install the Google friendly elements required (including 3 landing pages). Terry agreed, we charged him a small truckload of cash and we got started. 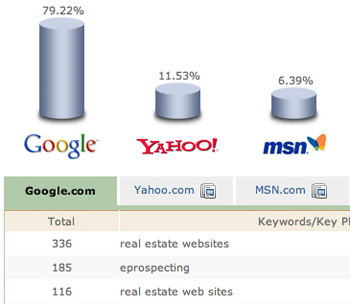 RESULTS: In 12 weeks, we landed page one ranking on Google for the term: real estate web sites. Yahoo! followed the month later as did MSN.com. They enjoyed page one visibility for nearly two years. Then, the budget for SEO stopped from Dominion Enterprises. Then Terry left the firm, and they changed the name from Pullan.com to eProspecting and they failed to put in any 301 redirects. As a result, their once page one rank on Google is no more. This is a perfect example of rags to riches back to rags again SEO story. Pargin Gets New Website and Lands Page One on Google. Success Story #63. 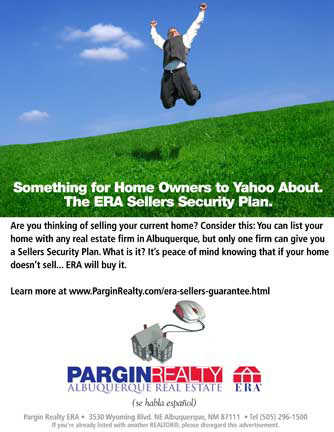 Pargin Realty ERA is the largest and oldest ERA office in the United States. They have 3 offices in Albuquerque, NM. Their website was built and designed by YourMIS.com -- a local firm that did not specialize in real estate websites, or SEO. We bull dozed their site and build a brand new one using state of the art UDM4 contextual-extensible menus to make the site Google friendly. We also video taped a few of their agents for some Flash header intros, and sold them one of our virtual tour camera kits. 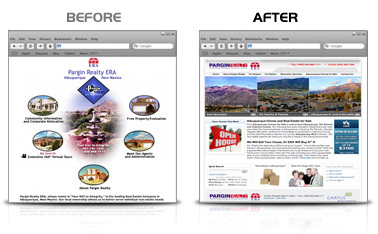 RESULTS: ParginRealty.com said nothing about REAL ESTATE or ALBUQUERQUE, so we leased them a Google friendly domain name, AlbuquerqueMoves.com and linked that to the ParginRealty.com domain. In 2007, this was not then a black hat SEO technique by Google standards. So we achieved page one ranking on Google inside of six months and they remain page one today for these search terms; albuquerque homes for sale, and albuquerque realty. Client Success Story #37. Santa Fe Properties in 2001 has a website that was unremarkable. Plus it was hand coded with no listing database. 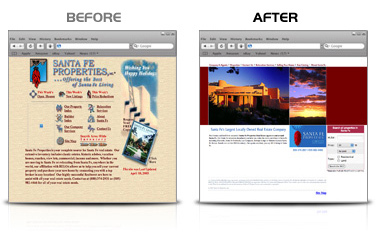 Santa Fe Properties sent Zip cartridges to a web designer in Washington state to make changes to the site. New listings took five to seven days to get posted. The used the local newspaper to shoot iPIX 360 virtual tours at a cost of over $60,000 a year. 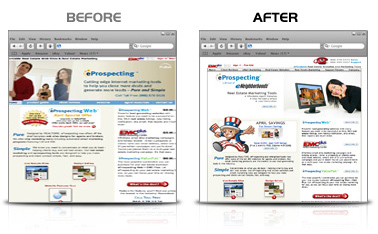 VPiX® worked with the in house marketing director and came up with a sticky website design that was also Google friendly. We sold them (4) virtual tour camera kits and we built a custom IDX system. This was one of our first customers to use the Kayyah MLS listing manager platform (version 2.0) to list their properties and have then instantly appear on their website. RESULTS: In six months, we achieved a page one rank on Google and kept it until November 16th, 2003. When Google pulled the plug on real estate, travel and pharmacy websites. It took us three months to return them to page one visibility and they have remained there now for the past six years for the search term; "santa fe real estate." Our work in SEO drew the attention of Business Week and we received a great editorial. ... (thanks to Voyager's SEO) our website has remained page one #1 on Google and receives 11,000 visitors a week. Kayyah.com Becomes 1st Open MLS Server. Lands Page One on Google. Success Story #133. In 2005, the National Association of REALTORS (NAR) did some nasty things. They began restricting certain kind of listings from discount brokers. And today, you cannot post a For Sale by Owner (FSBO) listing on Realtor.com. The Department of Justice (DOJ) filed a lawsuit against NAR over the question of practicing anti-competive actions. WE knew in 2005, it was time to start destroying the good old boy MLS monopoly. 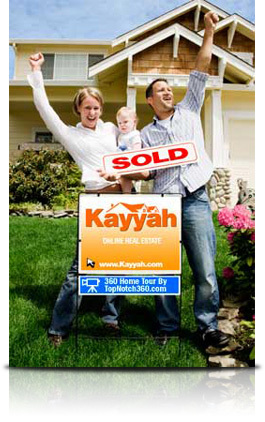 We allowed hundreds of Help U Sell and Assist2Sell brokers post their listings for free on Kayyah. Then we allowed For Sale by Owner (FSBOs) to post to Kayyah. Then vacation rental properties, followed by recreational property and commercial. RESULTS: Kayyah started way before Zillow.com or Trulia.com. While the site is not very pretty looking, Kayyah receives an average of 3 million visits and generates 82,000+ leads every month. It ranks page one #1 on Google when you search for; "international MLS." Today, Kayyah servers are being deployed in Europe and Dubai. In late 2009, VPiX® announces Kayyah Realty which will be a new, national real estate franchise. Kayyah Realty will be the first franchise to ignore posting listings at the local MLS level as all agents will be connected to a single, Global MLS set of servers. One Kayyah Realty master franchise is being established in each state starting August 2009. For more information on Kayyah Realty, click here and request our Franchise Kit.